Summer – although still quite wonderful in the Great State of Maine – will soon give way to Fall, and then thoughts turn to Hunting Season! We have the perfect deer or other big game hunting rifle in our SRC-308 with TimberTec Camo Finish. One of the lightest .308 AR type rifles on the market, it none-the-less packs a hefty .308 punch. Its 16.5″ barrel is easily maneuverable in thick cover, but very accurate enough for that occasional long shot. And the rugged Windham Weaponry AR platform will last through many hunting seasons – we guarantee that with our Transferable Limited Lifetime Warranty! It’ll still be the same rugged, accurate, reliable rifle when you are ready to pass it on to your son. Just be careful where you place it in the woods… the TimberTec Camo Finish may make it hard to find again! TOPIC: Is My Flash Hider or Muzzle Brake Removable? Normally we use this section of the Newsletter to answer AR15 rifle & accessory questions that we get frequently from our customers. 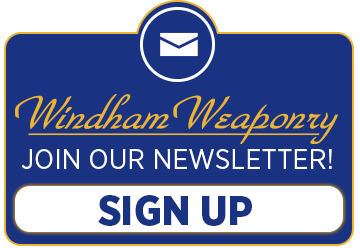 This month, however, we want to re-introduce to all our customers and readers, a long-time Windham Weaponry “family” member who is re-joining us in the Customer Service/Sales Department to help answer your questions and supply your AR15 needs. I am pleased to announce that Harvey Macomber has joined our Customer Service / Sales Department. Harvey is very knowledgeable in the AR Platform and has many years of experience in Production Assembly, Quality Control, Customer Service and Sales. Harvey also works part time at our sister company, the Windham Indoor Shooting Range & Retail Store. Harvey worked for Bushmaster for 13 years until they closed their doors. He joined Windham Weaponry when we opened in July 2011 and worked in Quality Control, Production and Purchasing until November 2012. Harvey is happy to be back within the Windham Weaponry family doing what he loves, talking to gun enthusiasts. Our Newsletter Editor, Karen Fogarty – who is also our Assistant to the Vice President of Sales and Marketing – was struck from behind by an uninsured motorist while riding her Harley on May 21st. It’s hard to believe that summer is almost over, and what a summer it has been! 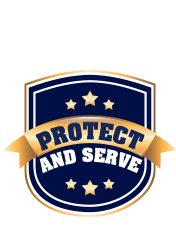 The Texas Sheriff’s Convention was a huge success and I would like to thank all of you that came by the booth to say hello. As some of you may know, I like to shoot hogs and there isn’t any better place to shoot hogs than Texas, so after the Sheriff’s Convention I traveled to Victoria TX to meet up with my good friend Gary Smejkal in order to shoot some hogs. I was with my two sons, Christian and Samuel, for the shoot and boy did we have a great time! I would like to give a shout out to Gary’s cousin Jimmy for letting us hunt on his farmland. As you can see by the photos we had a lot of success to say the least. Most of us were shooting the 7.62×39 (Christian shot a .308) and it was truly a hog slayer!! I can’t say enough about how pleased I was with the function and accuracy of that platform. Between the 4 of us we shot nearly 1,000 rounds without one failure to fire. Just amazing! (well, maybe not for Windham Weaponry rifles). Christian shot the biggest hog, at over 300 pounds and Sammy had the shot of the night as he hit one on a full run at 85 yards that flipped it right over and it was dead with one shot. Just an amazing time and to spend it with my two boys and good friends just made it that much better. I would like to give a HUGE thank you to Josh and Philip from EoTech for the use of their thermal unit and to Angelo from FLIR for letting us use his FLIR units as well as the FLIR hand held thermals. Come Join Us for a Special Day!